Valid for new clients only.Valid for a 5-pack of classes. Expires three months from date of first class taken. Package cannot be shared. Unleash your potential to Megaformer machine for 50 minutes engaging all your muscles in each and every move. 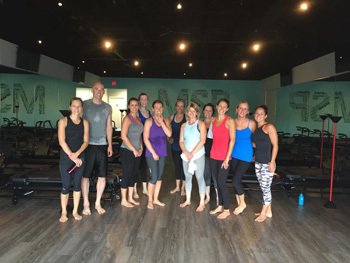 Each class is made up of numerous unique and intense moves ranging from everything lower body, upper body, and total core work using assistance and resistance of weighted springs to pulse, push, press, and feel the burn. 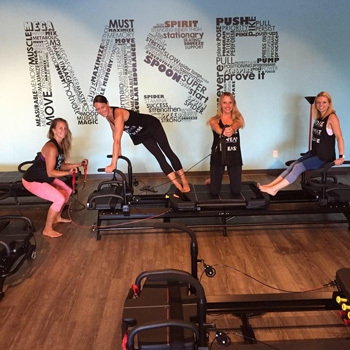 Inspire your mind and transform your body with our MSP family dedicated to your fitness goals. 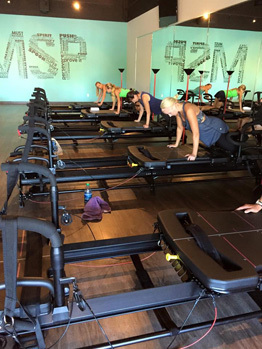 Move: Lagree MSP works multiple muscles at the same time using compound movements. This not only makes the workout incredibly efficient, but also more effective and produces astonishing results. 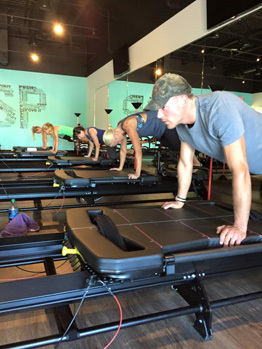 Each class consists of unique and intense moves using the assistance and resistance of weighted springs to pulse, push, press, and feel the burn. Sculpt: Your safety is our first priority, and our classes are led by certified coaches that motivate and encourage you every step of the way. You’ll achieve a long, lean, sculpted body without creating stress on your spine or joints. Perform: Dare to challenge yourself beyond your limits. The Lagree method is an effective workout for all fitness levels, and you’ll torch up to 700 calories on your first class. Your expert coach will help you perform to your ability. Boredom doesn’t exist at Lagree MSP, and because of our dynamic structure, you won’t plateau and burn out like other workouts. We are the only studio in Minnesota with the latest edition of the Megaformer, simply known as the M3S.